The roll-and-score fun of Yahtzee meets the thrilling strategy of Texas Hold 'em in this exciting new high-stakes challenge! 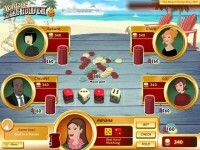 The roll-and-score fun of Yahtzee meets the thrilling strategy of Texas Hold 'em in this exciting new challenge! 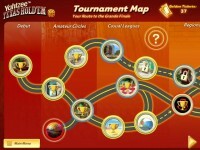 Beat your opponents by scoring the top 5-dice hand using 2 personal dice in the pocket and 5 more that are up-for-grabs for everyone! 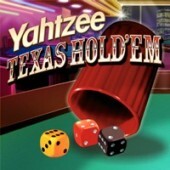 Featuring vibrant graphics, achievement trophies, and endless possibilities, you just can't beat the winning combination of Yahtzee and Texas Hold 'em for high-rolling, high-stakes fun! 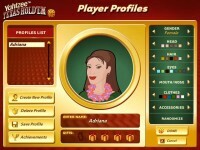 Tell someone about Yahtzee Texas Hold 'Em Game!